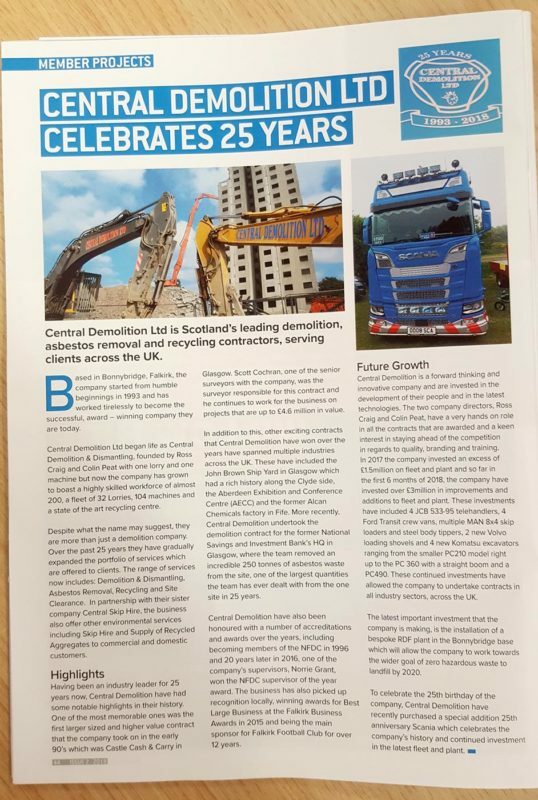 Central Demolition have been featured in an article in issue 2 of Demolition & Dismantling magazine, the official publication of the NFDC, to celebrate our 25th birthday this year! 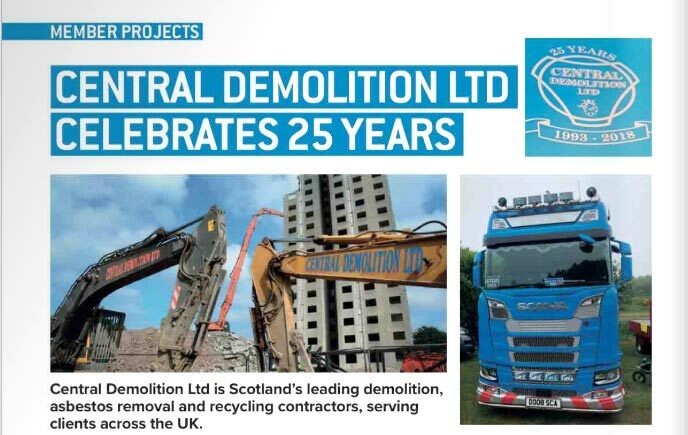 The article gives a brief overview of what we have achieved over the last 25 years and our future growth for the years ahead. This entry was posted in Media, News and tagged 35th birthday, magazine, media, nfdc, publication.